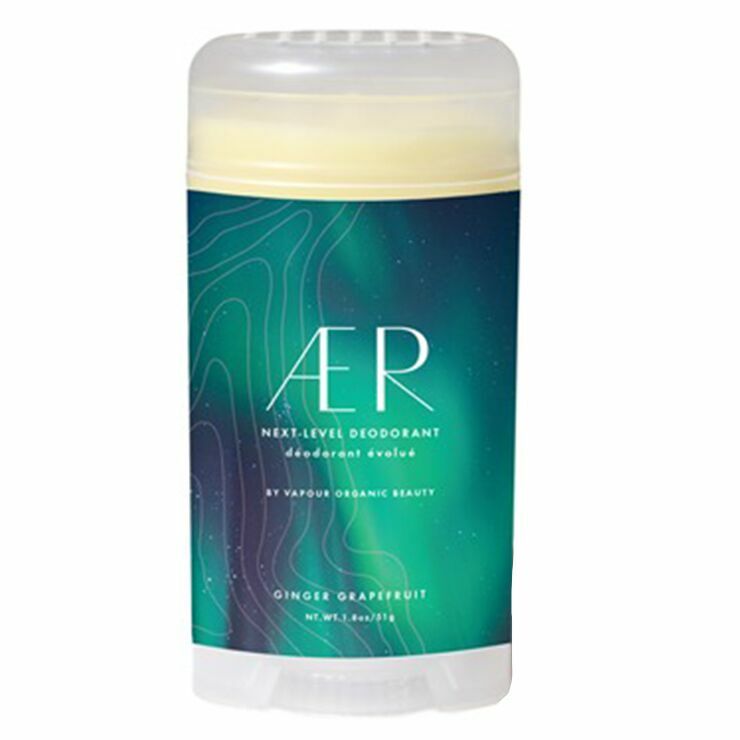 Vapour’s AER Next Level Deodorant naturally combats odor and bacteria with a concentrated blend of powerful plants and minerals. It's revolutionary lightweight gel formula glides on easily and instantly transforms into a silky soft powder. 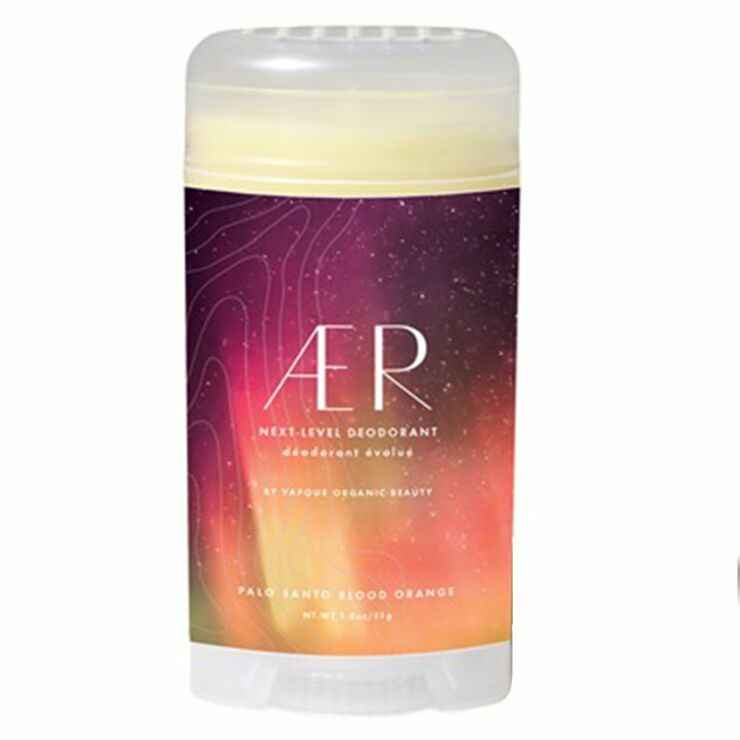 Made without talc or aluminum, it effectively neutralizes odor with organic arrowroot, baking soda, organic tulsi, wildcrafted myrrh and organic oregano. 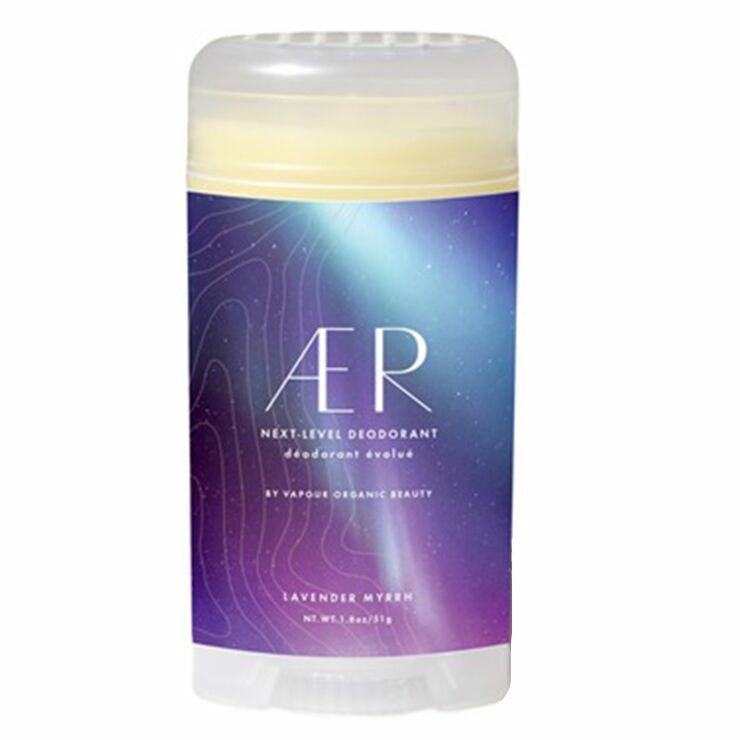 This organic deodorant is available in three signature scents. A little goes a long way with this highly concentrated formula, apply a small amount under arms and allow to dry. i think its a great deodorant, but the only downfall is that it is almost empty in the plastic it is less than half full so to me doesn't make sense why all that waste and so expensive. i feel cheated because there is not a lot of product on it! Best natural deodorant so far! I've tried around 30 different natural deodorants, from Smith to Agen Nateur, and this is by far the best one for my body type. It's the only one with baking soda that my armpits have been able to tolerate, as normally it stings and burns like crazy. I have all 3 scents and love em all! The gel texture feels awesome and you need VERY LITTLE! If you put on too much, it just balls up. I use it 1-2 times a day and it took 2 months for my first tube to empty. My one and only 'complaint' is the packaging - it looks like the product only fills up 1/3 of the tube. I am not sure why it's not filled up more or why they chose this big container if they only want to fill it 1/3. I'm also experiencing leaking at the bottom (oil is coming out of the tube). I have tried a few natural deodorants and have a tried and true favorite...with others simply disappointing. I was curious about Aer but wasn't especially hopeful. I can now say that it works. It works well and the scent is pleasantly subtle, just enough to be nice and not linger to clash with any other scents I may use. This is a tad pricey and I would like to smaller packaging, but it's a solid deodorant and worth the purchase simply because so few others work. Very efficient and great texture. You know how hard it is to come by a natural deodorant that actually works. This one does! It is a great product that I recommend. The only down side is that at a certain point the applicator doesn’t rotate anymore leaving a lot of product in the tube that will be waisted. I would recommend some improvements to the applicator. I think this product is gorgeous! I've been looking for a palo santo deodorant and am thrilled with the scent of this - and the fact that it's been super gentle, and super effective on my skin! It's literally a liquid-y gel, encased in a traditional deodorant push up container - the top of the tub is actually capped with plastic, which has holes in it. As you use the product, and twist, the gel is pushed through the little holes and you spread it on. Very clever! I've taken a point off (at least) for two reasons: first, despite the fact that the tube is regular sized, the amount of actual product is only about 1/3rd of the tube! Feels a bit like false advertising to me .... secondly, as over 2/3rds of the tube is just empty plastic ... that's a lot of wastage, and that doesn't feel like loving the planet more. Given all that, it's a wonderful clever product that smells great. I just felt a little oversold given how little actual product you get, and how much packaging is wasted.